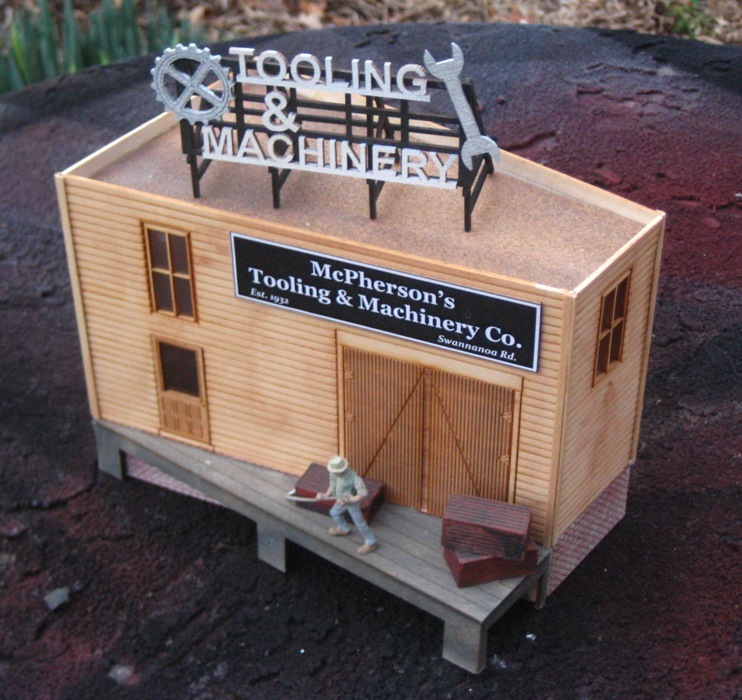 Home > HO Scale kits > HO McPherson's Tooling & Machining Co. The Footprint is 3 5/8"L x 2 3/4"H x 2 1/16"W. This model is costructed of laser-cut basswood. 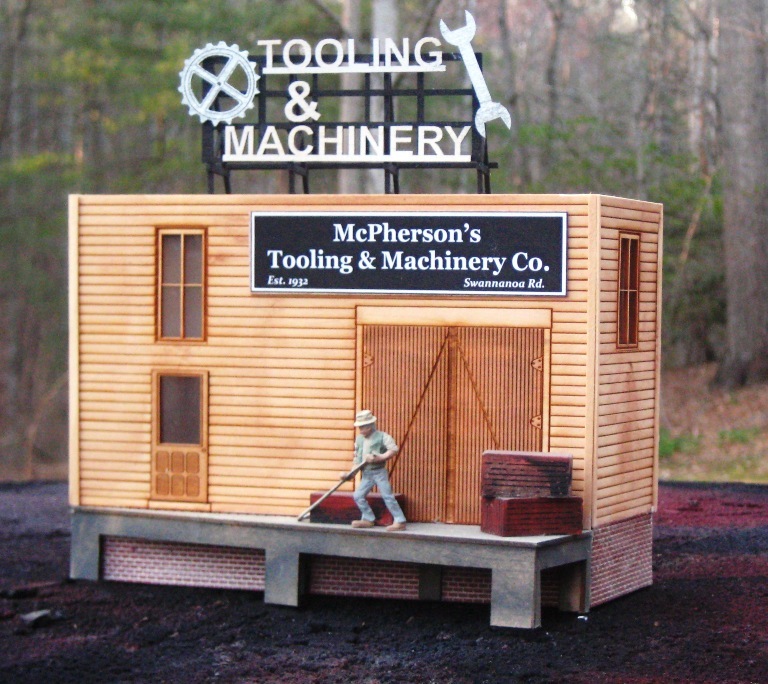 We've included assorted castings (barrels, and a ladder that you won't believe). This is one of our most original kits. Put it near the railroad tracks! Check out the brick at the bottom of the building. It's laser-cut basswood! So long plaster!